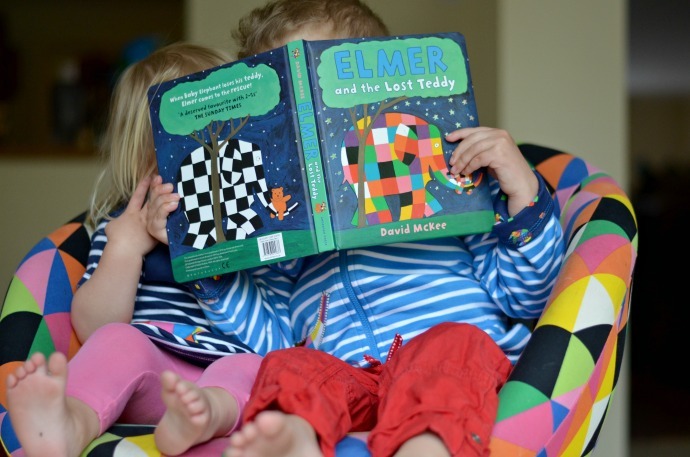 Elmer is one of those classic characters that people of all generations will recognise. 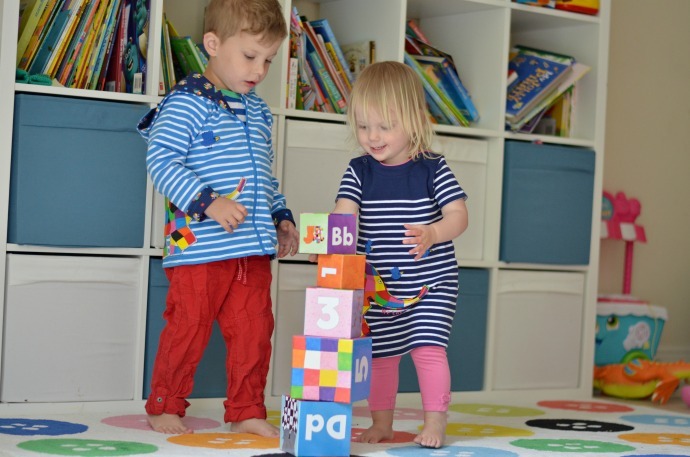 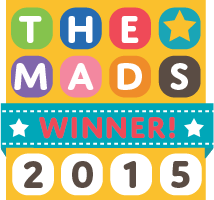 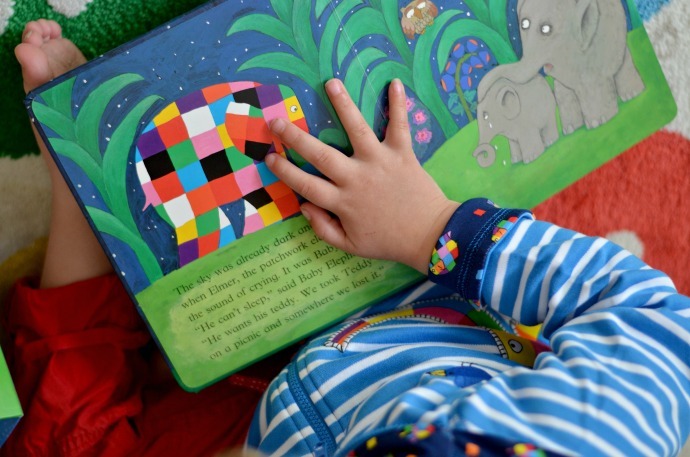 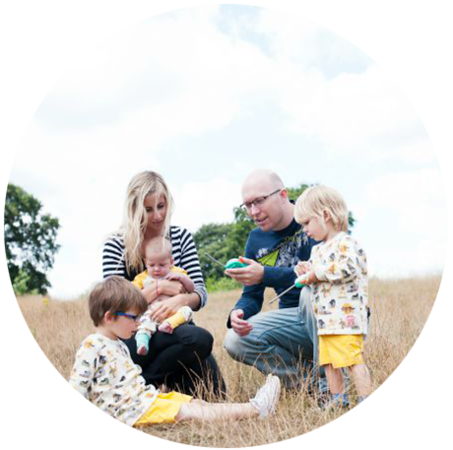 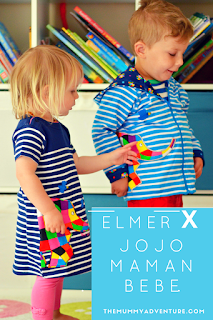 The multicoloured elephant is iconic and fun and the star of Jojo Maman Bebe's new range. 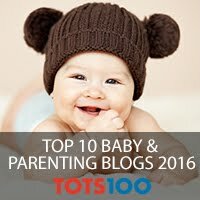 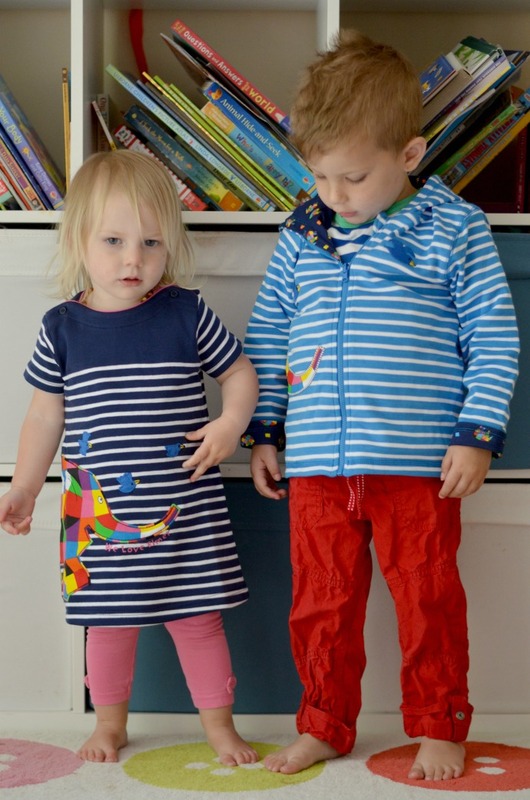 They sent us some of the items including the beautiful striped dress that Cora is wearing and the reversible hoody on Finn. 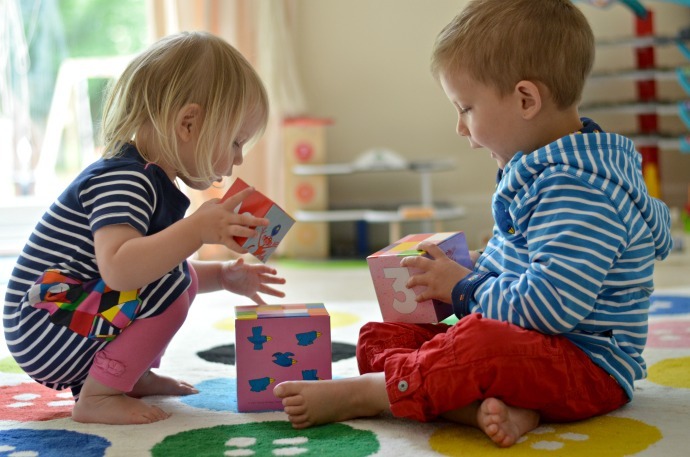 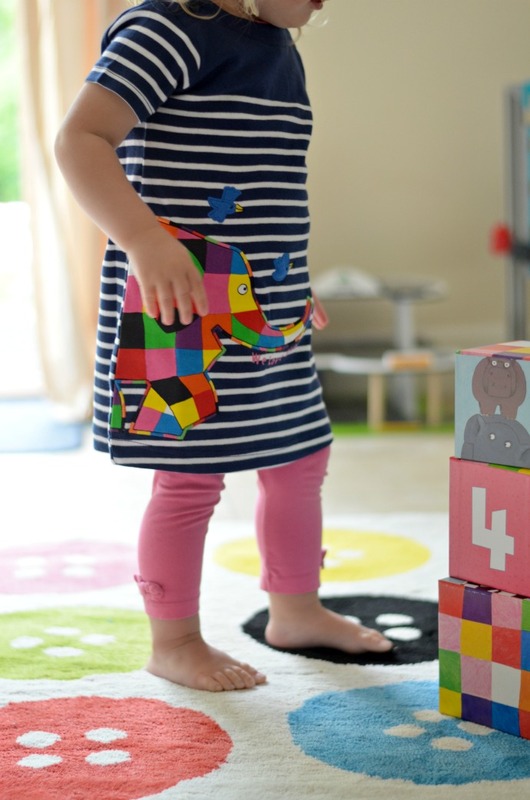 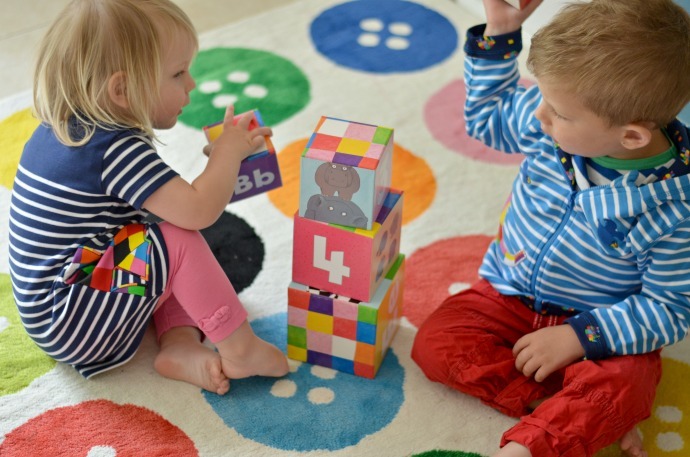 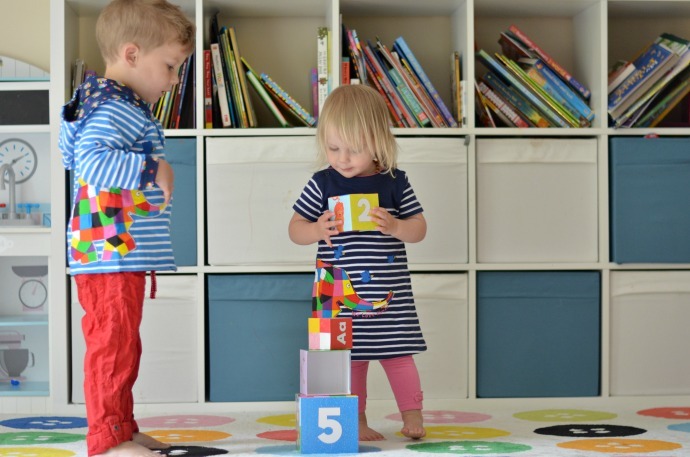 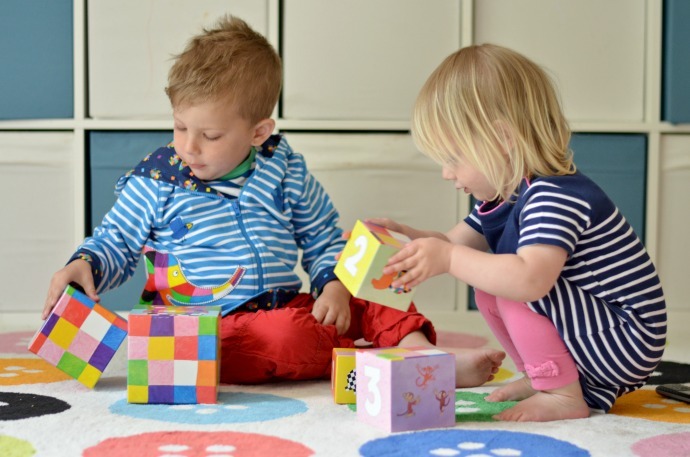 They also sell a variety of Elmer toys and books including the building blocks featured. 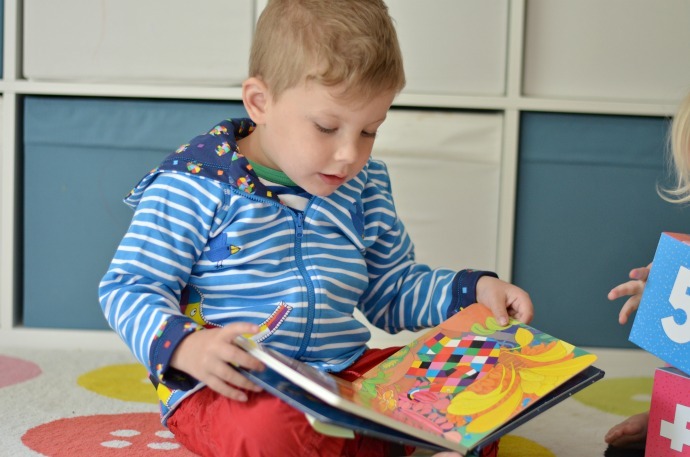 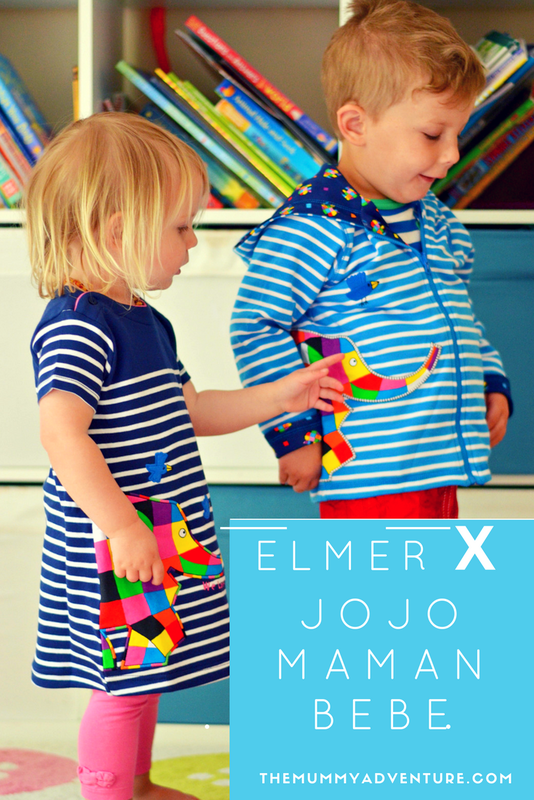 We love the quality of JJMB clothing and these Elmer items are amazing. 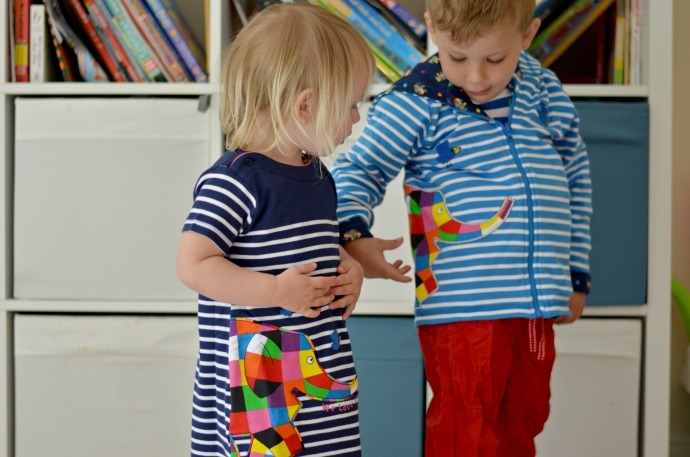 Finn has loved showing everyone his Elmer hoody and Cora has been pointing out their matching elephants constantly! 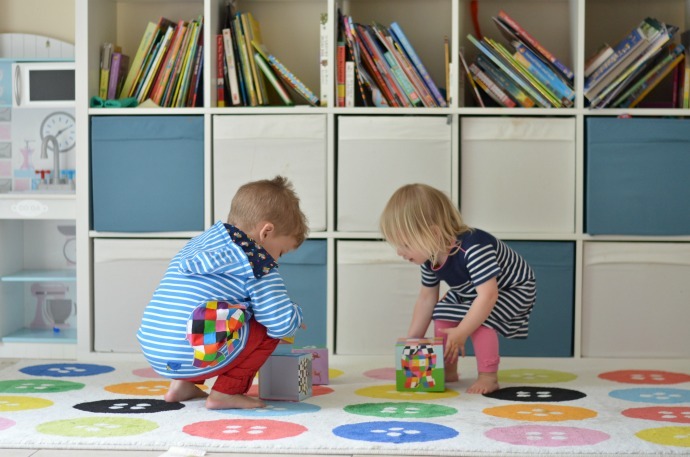 The bright colours work so well with the classic stripes too. 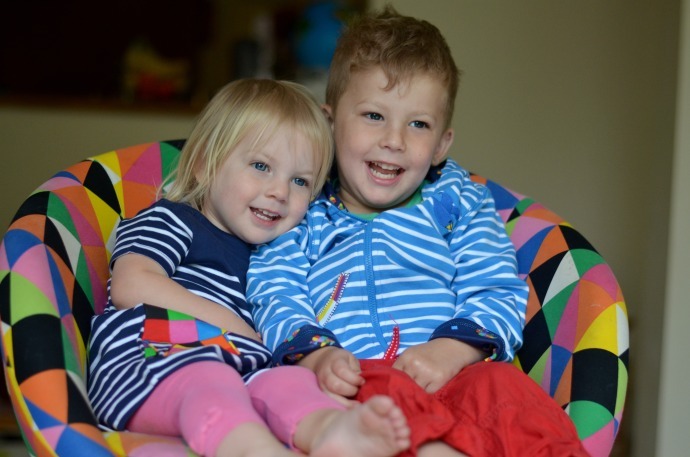 The new range also includes a summer romper, leggings, t-shirts and pjyjamas for 0-6 year olds. 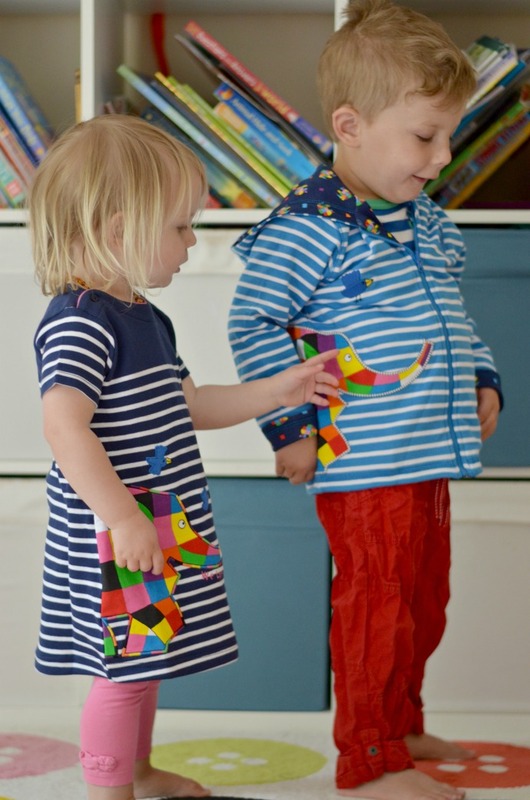 We find the sizing quite true (Cora is wearing 12-18 months which is her normal size and Finn is in 3-4 as an average sized 3 year old). 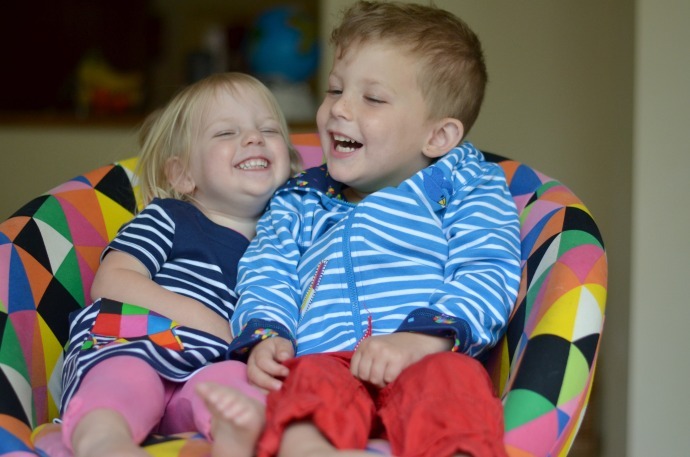 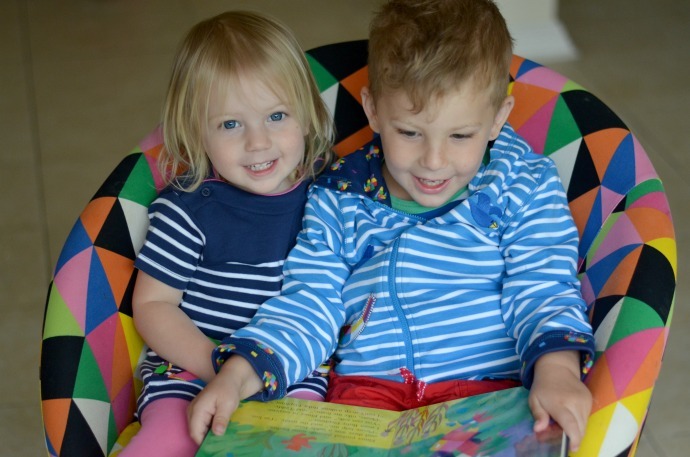 After the children had finished playing with the toys, they climbed on to my desk chair and asked to be spun around it was the perfect match to their clothing!